(Bloomberg) -- As the oil and gas industry prepares for a changing of the guard, a new item is being added to the conference agenda: yoga. 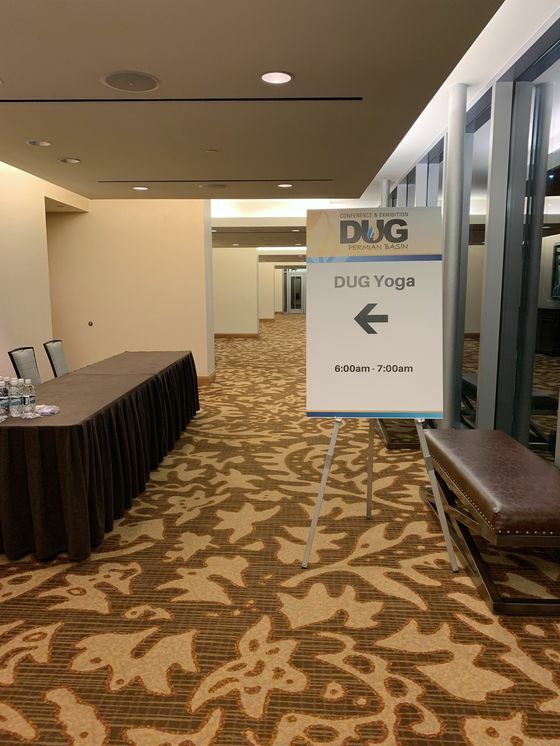 For the first time, attendees of Hart Energy’s DUG Permian Basin conference could get in an early morning flow ahead of presentations on drilling and hydraulic fracturing. In a meeting room at the Omni in Fort Worth, Texas, industry members rolled out their mats before heading across the street to hear from such names as legendary wildcatter Floyd Wilson and Greg Armstrong, the former head of pipeline giant Plains All American Pipeline LP. Hart said organizers added the event to “facilitate additional networking,” similar to “fun runs” and other morning workouts put on by some conferences. For all the talk of an inaugural yoga class, just a handful of people showed up to the 6 a.m. class. Maybe everyone was tired from last night’s cowboy-themed cocktail party.